What is a split charter? If you are a solo or 2-3 ppl looking for a semi private charter we have the trip for you. You can pay per person. 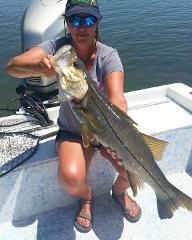 Private bay and inland fishing for up to 6 anglers. The first 4 anglers are $500 and the additional 5th or 6th angler is $50 each person. Totaling $600 for a party of 6 ppl. This is a pay per person or split bay trip for up to 4 anglers. 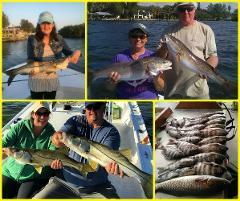 Fishing for Snook, Redfish, Trout, and Sheepshead. *Minimum # of anglers required to go out. 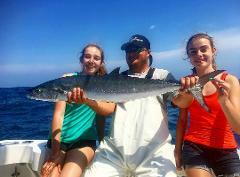 This is a private 4 hour offshore fishing excursion for up to 6 people max. We include everything (bait, tackle, license, cleaning & bagging) except food and beverage. 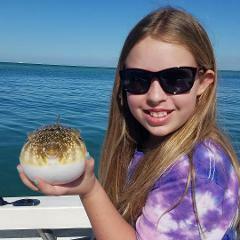 We are a family friendly fishing charters. 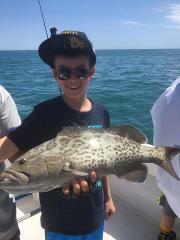 3 hours of family fun fishing is a short day of wetting a line and wildlife viewing. 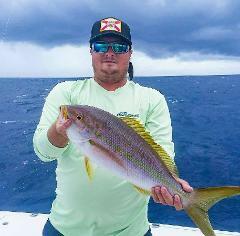 This is a private 6 hour offshore fishing excursion for up to 6 people max. We include everything (bait, tackle, license, cleaning & bagging) except food and beverage. Our 6 hour open or split trip offers solos or small groups to experience a semi-private trip without paying for the entire boat. 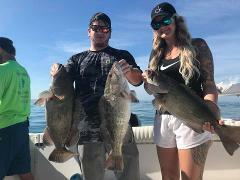 Fishing for Grouper, Snapper, Kingfish and more! The 10 hour fishing charter is for the die-hard fisherman out there. We offer these as private only. You will fish for Grouper, Snapper, Kingfish, and more. Private bay and inland fishing for up to 6 anglers. The first 4 anglers are $700 and the additional 5th or 6th angler is $50 each person. Totaling $800 for a party of 6 ppl. The 8 hour fishing charter is for the die-hard fisherman out there. We offer these as private only. You will fish for Grouper, Snapper, Kingfish, and more.